"Very bumpy on descent," the pilot wrote. "Pretty much every one on the plane threw up. Pilots were on the verge of throwing up." 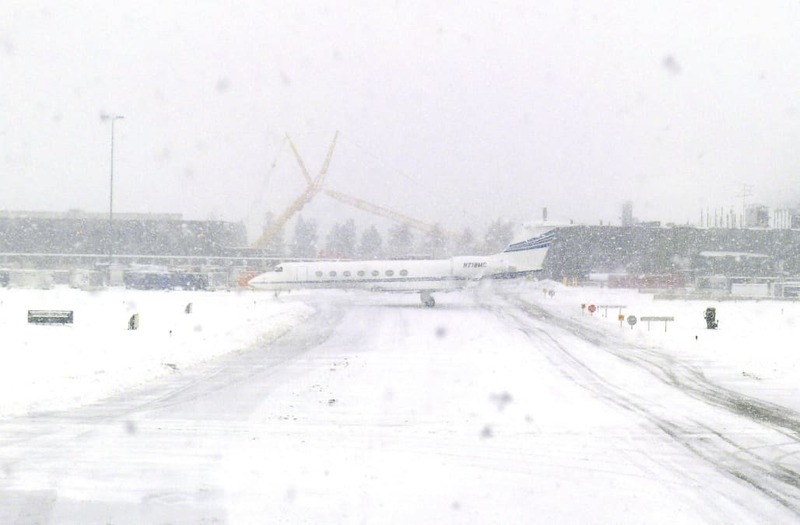 Powerful storms throughout the Northeast have led to thousands of delayed and canceled flights today, but some passengers haven't been so lucky. A pilot report from a flight that landed at Washington Dulles International Airport near Washington, D.C., on Friday morning described a horrifying descent that led a large number of passengers to vomit. "VERY BUMPY ON DESCENT. PRETTY MUCH EVERY ONE ON THE PLANE THREW UP. 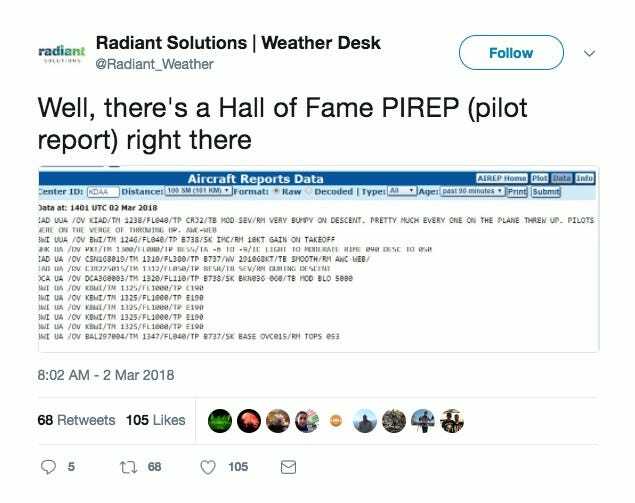 PILOTS WERE ON THE VERGE OF THROWING UP," the pilot wrote in a PIREP, which is a report that pilots often send to ground stations when they face poor weather conditions. The reports usually just note the weather conditions, but this one took it a step further, providing graphic detail that hinted at what must have been an incredibly unpleasant flight. The National Weather Service classified the nor'easter (which is a storm that brings strong northeast winds, often along the East Coast during the winter) as "a LIFE & DEATH" situation on Thursday in a tweet from the agency's Boston account. JFK International, LaGuardia, and Washington Dulles International all issued ground stops for arriving flights during the storm. And according to FlightAware.com, more than 2,800 flights had been canceled as of Friday afternoon. The flight tracking website also reported a total of more than 11,000 flight delays. The storm follows January's "bomb cyclone," which led to thousands of delayed and canceled flights along the East Coast.